Spring is in full swing and it's quite a relief to leave the cold and flu season behind us. For some, however, the snivelling suffering continues as we move on into the allergy season. Congestion, headaches and watery eyes will drive many of us reaching for Benadryl, Claritin and many other chemically indused quick fixes. Thankfully, there are a variety of all natural remedies that can effectively rid you of your allergy symptoms and give instant relief without the added toxins. 1. Quercetin Naturally found in many vegetables including leafy greens, tomatoes, broccoli, onions as well as green teas and citrus fruit, quercetin is a type of flavonoid antioxidant. Considered one of the most abundant antioxidants in the human diet, quercetin is an effective natural antihistamine and an anti-inflammatory, essential for naturally lowering the effects of season and food allergies. Quercetin can help stabilize the release of histamines from certain immune cells. Histamines are chemicals that are released when the immune system detects an allergy or sensitivity and they are what account for uncomfortable symptoms we face whenever the body has an allergic reaction. 2. Bee Pollen Bee pollen acts as a great natural allergy relief and is responsible for the many health benefits of raw honey. It’s considered a complete food; rich in vitamins, minerals, proteins, lipids and fatty acids, enzymes, carotenoids and bioflavonoids — making it an antibacterial, antifungal and antiviral agent that strengthens the capillaries, reduces inflammation, stimulates the immune system and has shown to limit the release of histamine. Now, why would we suggest eating bee pollen for those allergic to pollens? Well, the concept is similar to vaccinations. 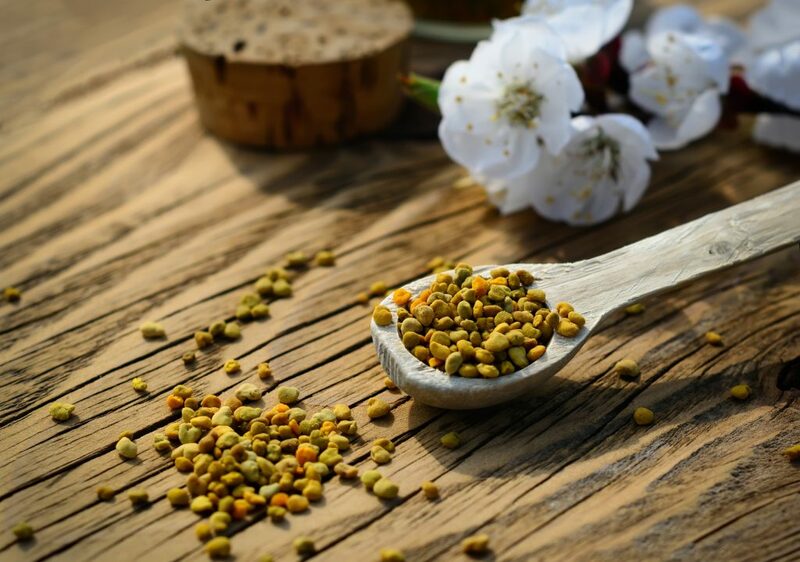 When you put a small amount of the seemingly harmful irritant (bee pollen from local flower pollens) into your body, your immune system builds defenses or immunity against the foreign substance. This makes the immune system “ready” to handle any of that substance in larger quantities the next time it comes into contact with it. As a result, there is no “hyper-reaction" like sneezing, itchy eyes or skin rashes. The outcome is that over time your body becomes less and less sensitive to the pollens, grasses and trees come spring and summer time and you remain allergy free. 3. Neti Pot A neti pot is a device that cleanses and refreshes the nasal passages. They are usually plastic or ceramic and they resemble a small teapot. By design, a neti pot enables its user to pour a purified water and salt, or salt based mixture nasal rinse into the nostrils in such a way that it flushes out irritants and thins out mucus. This typically leads to less congestion and easier breathing through the nose. In India, flushing warm salty water through the nasal cavities has been used for centuries to help with nasal congestion as well as allergies. The neti pot has its origin in Ayurvedic medicine. “Neti” is actually Sanskrit for “nasal cleansing.” Nasal irrigation with a saline solution is not only a safe and inexpensive way to improve a stuffy nose caused by allergies. It also improves overall quality of life for the allergy sufferer and leads to less of a need for allergy medications. 4. Eucalyptus Oil Eucalyptus oil opens up the lungs and sinuses, thereby improving circulation and reducing symptoms of allergies. Studies have shown that it produces a cold sensation in the nose that helps to improve airflow. Eucalyptus contains citronellal, which has analgesic and anti-inflammatory effects; it also works as an expectorant, helping to cleanse the body of toxins and harmful microorganisms that are acting as allergens. To treat respiratory issues associated with allergies, diffuse five drops of eucalyptus oil at home or mix it with coconut oil and apply it topically to the chest and temples. To clear the nasal passages and relieve congestion, pour a cup of boiling water into a bowl and add 1–2 drops of eucalyptus essential oil. Then place a towel over your head and inhale deeply for 5–10 minutes. You can also put several drops in your laundry detergent as an antimicrobial agent. 5. Stinging nettle Just as all these lovely flowers, grasses and trees are blooming and releasing clouds of pollen, stinging nettles are also popping up in full force, ready to come to the rescue. Stinging nettles have been used for centuries as a natural treatment for seasonal allergies, hay fever, asthma, and hives. Research has shown that consuming nettles in freeze dried capsules effectively reduces histamine levels in the body, thus reducing inflammation of affected tissues. Even a simple nettle tea consumed daily throughout the pollen and allergy season will alleviate allergy symptoms. It has been suggested that nettles actually desensitize the body to allergens and decrease our reaction to the allergens over time. 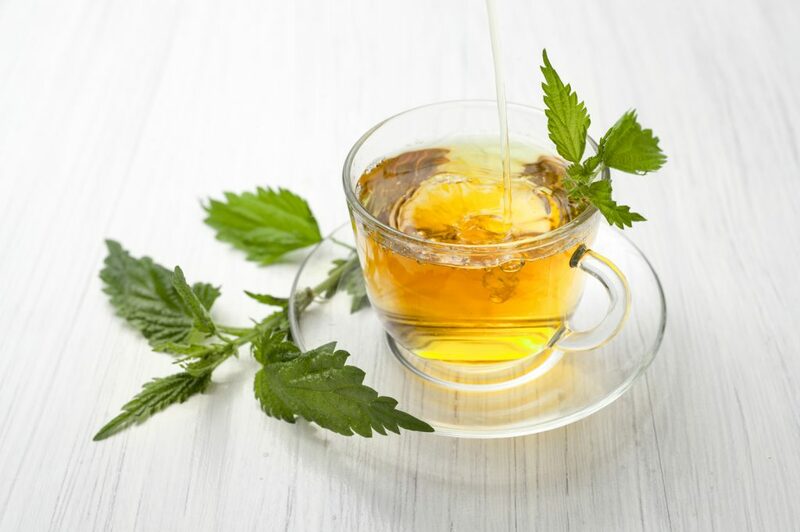 Nettles will also spare you the side effects that come with allergy medications, like drowsiness or irritation and ulcers of the digestive tract, which leads to a whole other set of inflammation issues you don’t want.